Vibrant aromas of white flowers, pears, and marzipan emerge when the wine is poured, adding ripe honeydew and a suggestion of lemon balm as it evolves in the glass. On the palate, the wine has a beautifully textured mouthfeel, with a layered, mineral-laced core of citrus-seasoned flavors that echo the nose, and a clean finish punctuated with mineral grip and fresh fruit acidity. Grilled scallops, arugula salad, roasted chicken. Fermented and aged for 6 months in stainless steel vat. Roc Des anges was founded in Febuary 2001. 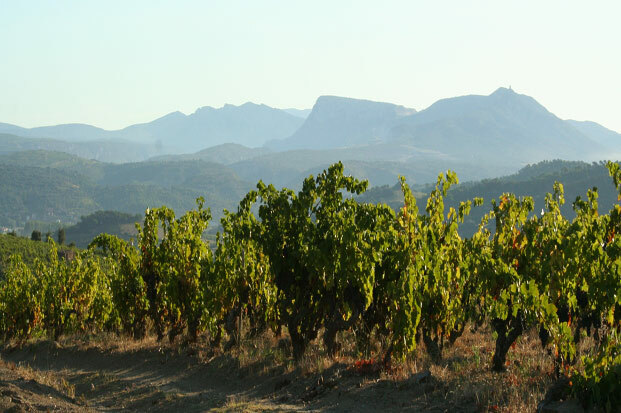 A Carignan vine planted on a vein of quartz is biheind the origin of the name. a white soil surrounded by black schist: the “Lieu-Dit” is called “Roc Blanc” which translates as White Rock. Angels where chosen to symbolize the vein of quartz, and Roc Blanc became Roc Des Anges (Roc of the Angles). The vineyard lies on topsoil of very old schist (750 million years) soft and flaky, drived from the compaction of pure clay. The bedrock is less than one meter deep. It’s very friable, wich allows an excellent root penetration. These conditions give the vines a chance to get a second wind as June brings drought and warm weather. Simplicity is the rule, yet it is the most difficult to follow. 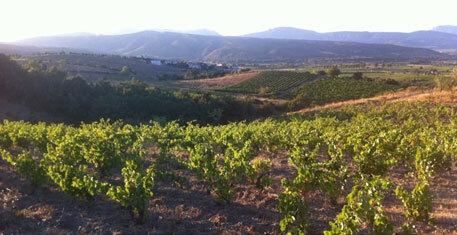 They observe, they taste, they wait, and they guide the wine toward the fullest expression of terroir. The aging requirement varies according to vintages. Many of the wines are aged in concrete vats: the wine breath and the fruit is reserved. Aging in wood allows the more tight and reticent wines to soften and open up. For this reason they buy premium Burgundy barrels (3 to 5 years of age), and a few new barrels. Marjorie was exposed to wine at an early age (she grew up near Côte Rôtie), she earned her degree at Montpellier while doing apprenticeships with Yves Cuilleron and Pierre Gaillard in the northern Rhone.